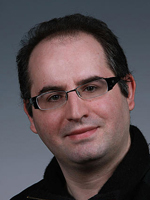 In a recent chat with The Next Platform, Antonino Tumeo, a scientist with PNNL’s Advanced Computing, Mathematics, and Data Division High Performance Computing group, discussed how graph algorithms and machine learning can happily coexist in the bid to enhance performance, scalability, and capabilities of graph processors and hardware and software frameworks, especially in the move toward the exascale era. In the talk, Tumeo touched on several projects being led by PNNL, including HAGGLE (Hybrid Attributed Generic Graph Library Environment), which is part of the Defense Advanced Research Projects Agency’s Hierarchical Identify Verify Exploit, or HIVE, program; the ExaGraph Exascale Computing Project Co-Design Center; and the High Performance Data Analytics program to accelerate big data analytics using HPC. At PNNL, Tumeo has long explored computing architectures and graph frameworks, as well as their potential connectivity to machine learning and deep learning. In fact, last year he served as a co-organizer of GRAML’17, the First Workshop at the Intersection of Graph Algorithms and Machine Learning. He will serve the same role for this year’s GraML’18 to be held on May 25, 2018 in Vancouver, British Columbia. The Next Platform offers in-depth coverage of high-end computing at large enterprises, supercomputing centers, hyperscale data centers, and public clouds—areas where research is pushing the boundaries of performance and scale.